Margaret Michaels HRC Inc. has over twenty years of experience in conducting workplace investigations. We are a trusted resource for corporations, senior managers, and human resources advisors in both public and private sectors. Speak directly with the principals, contact us. 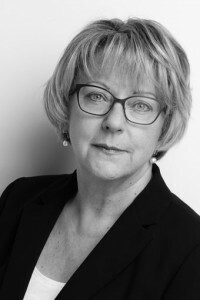 Margaret Michaels has conducted investigations into single and multi-party harassment complaints on grounds covered by human rights legislation, as well as personal and sexual harassment, in both the public and private sectors. With over twenty years of experience, Margaret is a trusted resource to senior management and human resources advisors. Margaret is an accomplished writer with a recognized ability to analyze and report on complex issues. She has published numerous articles on workplace harassment, discrimination and cross-cultural interviewing in publications serving the human resources community. She has developed anti-harassment policies; designed, developed and delivered experiential training in the issues surrounding harassment and workplace conflict for individuals at every organizational level. Margaret holds a recent master’s degree with a dual focus in culture studies and organizational behaviour from Athabasca University. She has CHRM and CHRL certifications from the Human Resources Professionals Association, certification as an Adult Educator from St. Francis Xavier University and is certified in Myers Briggs personality theory. 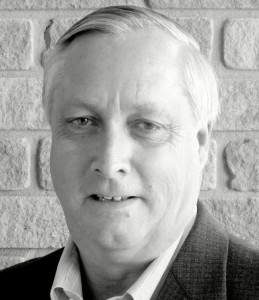 Ron Coleman brings a comprehensive knowledge of employment law, acquired through practical experience in the Ottawa aerospace and hi-tech sectors, to his work as a workplace investigator. Ron spent eight years as an in-house counsel, where he was also responsible for HR liaison with outside legal counsel on matters relating to personnel workplace conduct and employment law. Ron is fully aware that workplace misconduct which may be in violation of corporate policies or workplace legislation can cause significant and costly workplace disruptions and potential exposure to legal liability. Ron is committed to ensuring that incidents of workplace misconduct are thoroughly and professionally investigated in a timely, discreet and unbiased manner, so that an employer may reduce risk exposure, provide a safe and respectful workplace for its personnel, and confidently make an informed and legally supportable decision about how to proceed with conflict resolution or potential disciplinary action. Ron has consistently applied a comprehensive and analytical approach to the investigations he has conducted, including dealing with complex multi-party investigations, in the public, private, and not-for-for profit sectors. Previously Ron completed a career in the Canadian Forces, first serving as a Search and Rescue pilot with operational tours in both Western and East Coast Canada, and later as a Legal Officer for personnel matters with the Canadian Forces Judge Advocate General (JAG) branch, retiring with the rank of Major. Employee complaints are serious. They have the potential to seriously damage workplace relations and your company’s reputation. As an employer, you have a due diligence obligation to respond effectively. You can protect your organization by engaging professionals who have the skill and experience to carry out a fair, thorough, and unbiased investigation. MMHRC Inc. investigation methodology adheres to the principals of natural justice and we make every effort to minimize disruption to your workplace. Our investigation reports provide you with comprehensive, fact-based information and analysis, enabling you to move forward with confidence. We have established ongoing working relationships with federal employers, who routinely call upon us for investigation services throughout Canada. Federal employers may access our services via the Public Services and Procurement Canada National Master Standing Offer for investigative services. We work throughout Canada in both official languages. Your response to harassment-based conflict must be prompt. It must be impartial – and be seen to be impartial. As neutral third party investigators, we bring a level of professionalism and credibility to investigations that internal resources simply cannot. Every workplace is as unique as the people in it. Our extensive investigation experience, understanding of organizational behaviour and knowledge of employment law ensure that the investigations we conduct for you will be tailored to your needs, fair, thorough, and defensible. Hiring an experienced investigation specialist to conduct your investigation shows your employees that you are serious about workplace relations and want the investigation to be carried out fairly and properly. As external investigators, we bring a level of impartiality that cannot be matched by an internal investigator. We know how to keep an investigation focused and on track. Our investigation process follows the principles of natural justice and stands up to close scrutiny. Our findings are defensible. Our reports contain relevant information only, nothing extraneous, and no jargon. You receive a comprehensive document which outlines the issue, explores contextual and environmental factors, analyses the relevant information and sets out a determination as to whether the complaint is found for the complainant or the respondent. Often, the issue or incident(s) that precipitate a complaint are not the true cause of the conflict. Sometimes conflict occurs because resources are tight, workload demands are high or organizational roles place employees in positions with opposing goals. These factors can become personalized and the result may be a perception of harassment, bullying, or abuse of authority. At the beginning of the investigation, we invest time with the complainant and respondent to get a comprehensive picture of the organizational context within which they interact. Understanding any behind-the-scenes influences enables us to more accurately assess the credibility and reliability of information gathered from witnesses. At the conclusion of our investigation, you receive a complete report, which will help guide your organization’s response to the complaint. We will provide recommendations for remedial actions, if requested. Issues may arise within a particular section of your organization, but the source of discord may be difficult to pinpoint. Generalized conflict, a high number of grievances, excessive absenteeism and/or high turnover are all indicators that some sort of employer intervention is required. In these circumstances, however, an investigation would not be the most effective response. You need to know the root cause(s) of the discord. Your employees will more willingly disclose sensitive information to a person who is not part of your organization. We will gather information about organizational culture, formal and informal communication processes, workplace conduct and interpersonal relations to identify any factors which may be contributing to organizational dysfunction. We tailor our methodology to fit the situation. One-on-one interviews can uncover a wealth of information. We may also use electronic surveys and/or hold focus groups to gather information, depending on the scope of the project. Workplace conflict can be complex and varied. Each person brings a unique set of values and needs to the issues at stake. Mediation can repair fractured workplace relationships and foster productivity. Mediation is confidential, timely, cost-effective and, typically, far less disruptive to the workplace than an investigation. If the parties genuinely want to work toward resolution, we can use our mediation skills to help them reach agreement and get back on track. If requested, we can offer several options for designing remedial actions. We offer half-day and full-day workshops designed with a high degree of interactivity to stimulate thought and discussion. The overall goal is to increase self-awareness, allowing employees to understand how their behaviour can impact their co-workers. Delivery can be customized to fit the unique aspects of your workplace. This workshop can be delivered in a half-day or less. It is designed to inform your employees about your new policy and reinforce their understanding of their rights and responsibilities under that policy. This session can be delivered in tandem with Harassment Awareness for double the training impact. This is a five-day course, designed by an accredited adult educator, which covers every aspect of workplace investigation. Learning modules cover relevant legislation, investigation process and logistics, qualitative interviewing, assessing interviewee credibility, report writing, remedial and disciplinary measures. We provide in-house investigators with expert advice relating to best practices and managing the investigation process. Predictably, unexpected challenges will arise. Knowing there is a resource to call upon provides internal investigators with a safety net. Upon conclusion of the investigation, we can review your reports to ensure the content is appropriate and defensible. We will review and amend your human resource management policies and practices to ensure that your organization is in full compliance with human rights, employment and workplace safety legislation. We want to hear from you. Please send us an email or contact us using the following information.